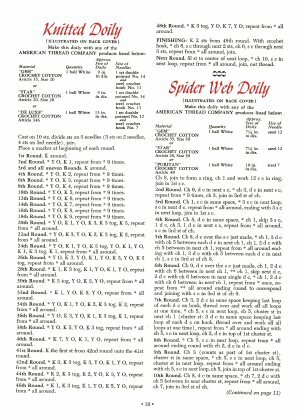 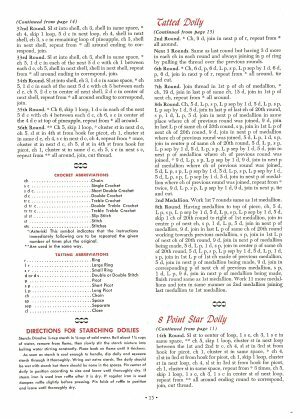 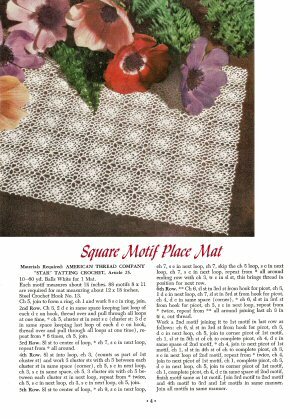 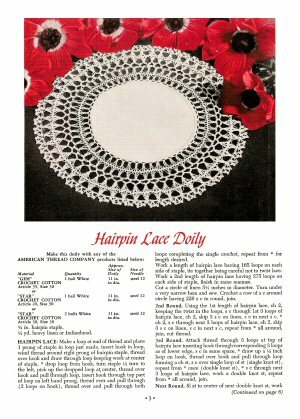 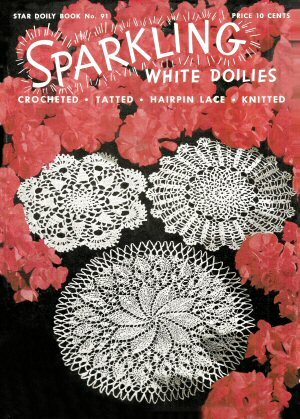 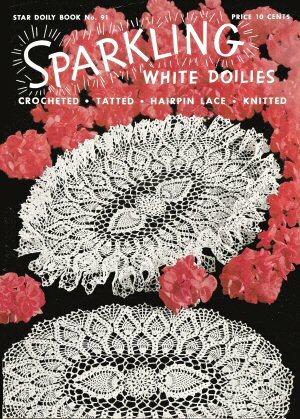 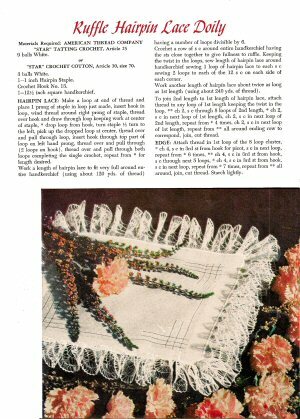 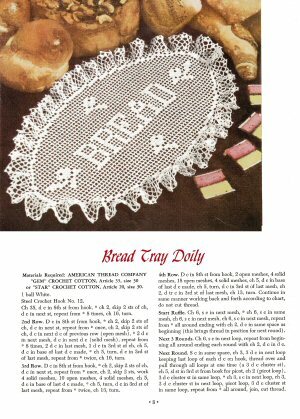 16 page booklet of doilies. 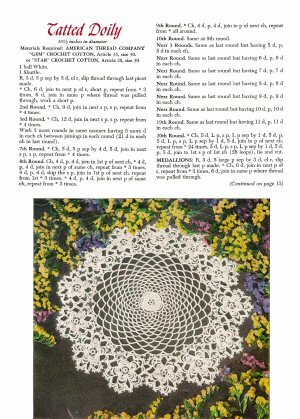 Mostly crochet, but includes one hairpin crochet, one knitted, and one tatted project. 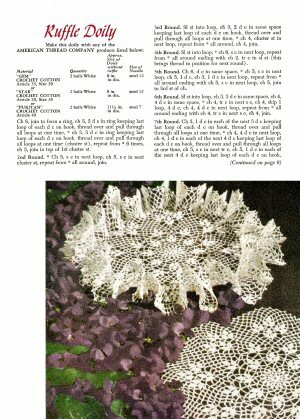 Frilled doilies are also presented without the ruffled edgings, as flat pieces. 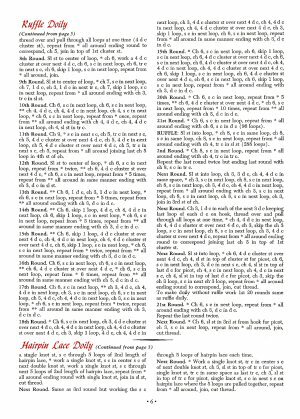 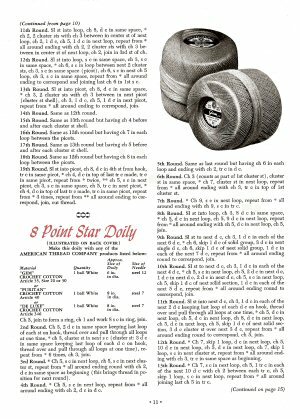 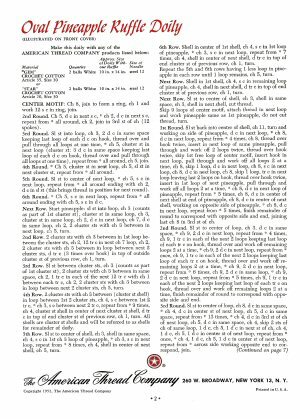 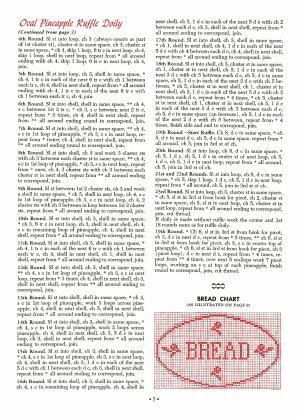 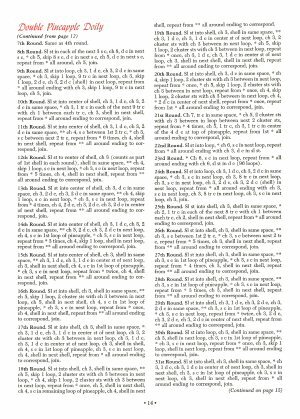 One filet crochet chart for a bread cover, rest of the instructions are prose, American notation. 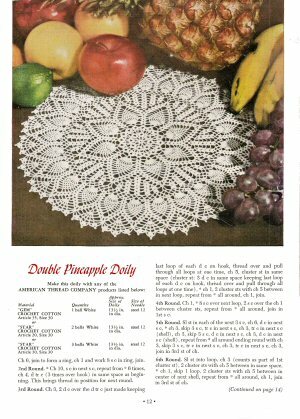 Scans donated by Carol A. Carlile, edited by Sytske Wijnsma.